An update is rolling out this afternoon through Google Play for Motorola Connect, the app which allows compatible device owners to sync all of their accessories and PCs up in one single place. 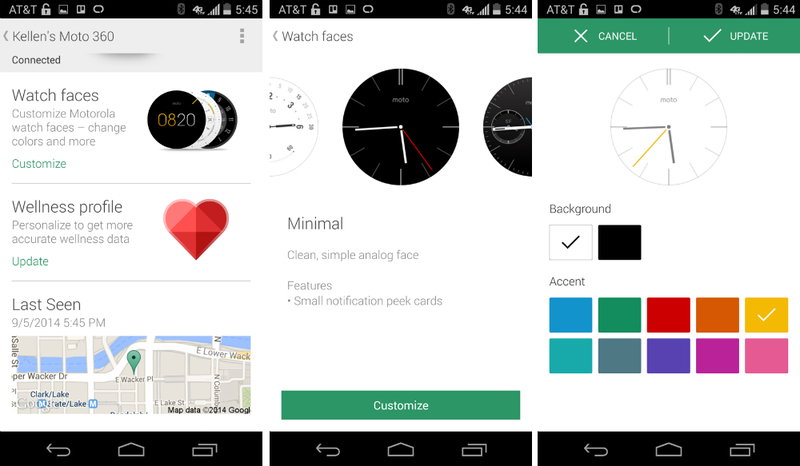 The update, which seems geared towards new owners of the Moto 360, allows you to create exclusive watch faces by tweaking color settings found on the preinstalled faces. Once you have a new look you enjoy, you can send it straight to your watch for showing off purposes. In addition, Connect now lets you find your devices on a map, just in case you happened to lose it while out on the town. Finally, Connect now also supports the Power Pack Micro 1500, Motorola’s portable power solution.